Wednesday is our busy day of the week. I try and make sure we have an easy, relaxing morning because after lunch we go to our Home Education group, have dinner with Caterpillar Tales, and then Jasmine goes to Rainbows with Caterpillar Tales’ Rabbit. So today our relaxing morning involved Reading Eggs, Mathseeds and Lego. Oh, and helping Daddy to move the pond! We are going to pick up some tadpoles from a friends pond tomorrow so our little area will be almost complete! This afternoon at Home Education Group, we painted, modelled and glittered, played football and catch, washed a toy car by throwing water over it, climbed and slid, found some eggs in a nest (sadly, probably abandoned as we saw no mummy or daddy bird nearby), picked dandelions, made new friends, collected snails and ants, discovered that sand sticks to snail slime, put feathers in our hair and generally enjoyed being outdoors. 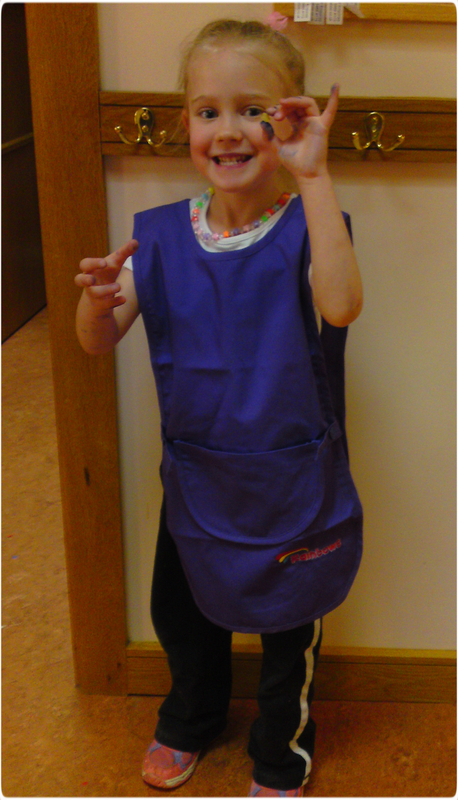 And at Rainbows this evening I got Jasmine her tabard so she looks all official now!